A celebrant since 2011,proud to have conducted over 150 weddings, vow renewal and naming ceremonies! Each is perfectly designed and created from a blank page, but incorporate your style and ideas and my experience and suggestions! Bilingual English and German ceremonies are a speciality. I will create warm and personal ceremonies for you which will create lasting memories! Yvonne was great in making our ceremony personal and what we wanted. We helped write the ceremony and the ideas Yvonne has to make it special were great. Yvonne was very friendly & warm and we could tell she loved her job . 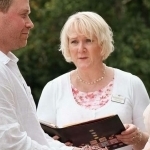 Handwritten bespoke ceremony that includes all your ideas, values and beliefs! Have the ceremony you've always dreamed about- with no restrictions or stress. We&rsquo;re so grateful to you for all that you have done to help make our wedding even better than we could have imagined. Steffen&rsquo;s parents in particular took so much more from the day thanks to the bi-lingual ceremony , and you really added the finishing touch! It&rsquo;s also great that you were able to meet people at the party. We&rsquo;d be delighted to recommend you and I can let you have a quote if you like. 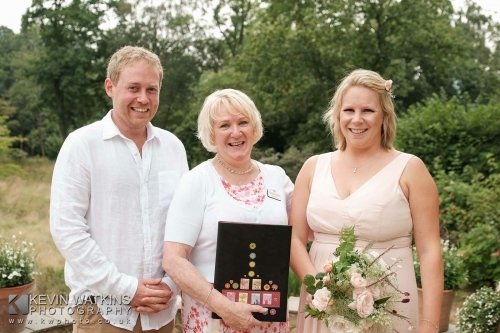 Yvonne, thank you for putting together such a wonderful personalised wedding ceremony for us! You weren't given much time (about a week if I remember rightly) to pull everything together, from chatting with us to see if we were the right fit, to writing a personalised ceremony which we wouldn't change in a million years, even given more time. We will always think of you fondly and I have been telling a lot of people about you and what you do! I wish you every success with your business and to anyone looking for a warm, loving and caring celebrant to conduct their ceremony I can't recommend Yvonne enough.